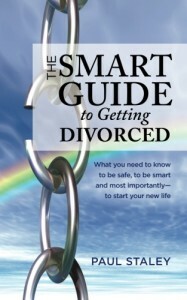 I am excited to announce that I have just finished writing a book on divorce and family law: The Smart Guide to Getting Divorced: What you need to know to be safe, to be smart and most importantly – to start your new life. It has just been published. and is easy to find on Amazon or on Barnes and Noble both in paperback or kindle, whichever you prefer. It dawned on me that the real need isn’t for just another book about divorce: the need is for a book people can actually read. 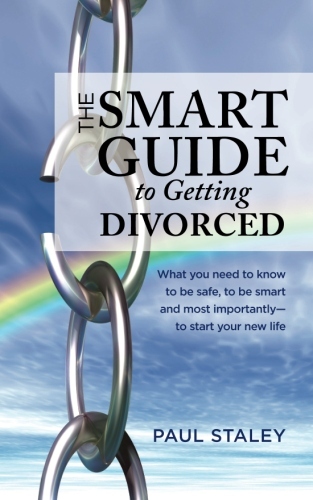 “The Smart Guide to Getting Divorced” tells real stories about real cases and offers real information to those in the middle of a stressful time. Anyone can read my book and not be overwhelmed. The hardest thing in a divorce/custody situation is that it is just simply a staggering situation. So much needs to be done and it’s often hard to get anything done at all. Anyone contemplating a divorce or delving into a custody case needs a quick read which helps them understand the high stakes arena of family law. Without an understanding of the basics, a parent is apt to find themselves heading down the rabbit hole. Family law doesn’t always make logical sense, much to our frustration! My book is 100+ short pages of clear, concise information because I know those who have better information can expect a better outcome.